It’s the end of term and the sun is shining. This means that all I want to do is go outside and enjoy it with my friends. In fact, I have been doing just that, with lazy lunchtimes in Victoria park with ice creams and frisbees. 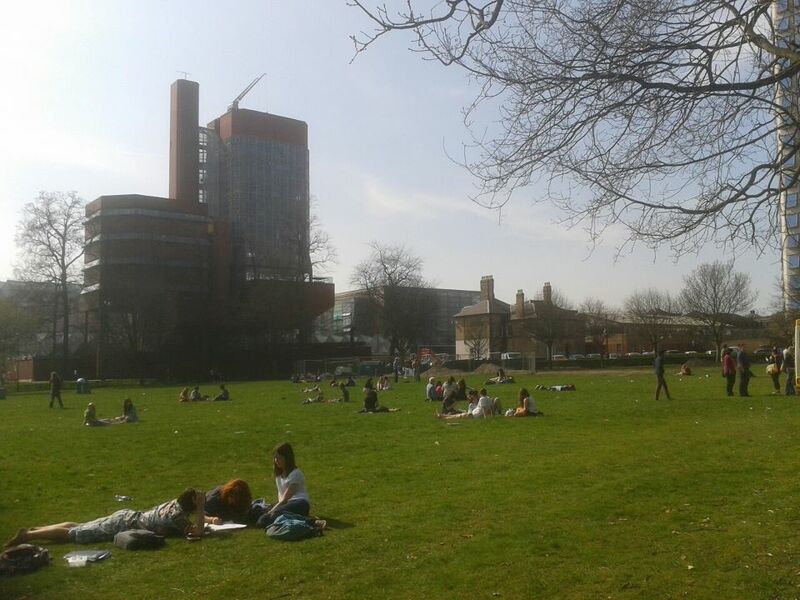 We spent today revising outside and it was such nice weather I thought I’d post a picture, so here it is, Vicky Park in the sunshine. I hope it stays like this until the holidays. However, it also means that revision and exams are creeping closer and closer. I don’t think I’m doing too badly this year, all of my notes are in order and my problem sheets have gone well so far, so I’m feeling fairly confident but there is always the feeling that there’s just so much to learn and I’m not sure where to start. I normally start by summarising the notes I have already made, so I need to get started with that next week. Jenny graduated from the University in Summer 2013.